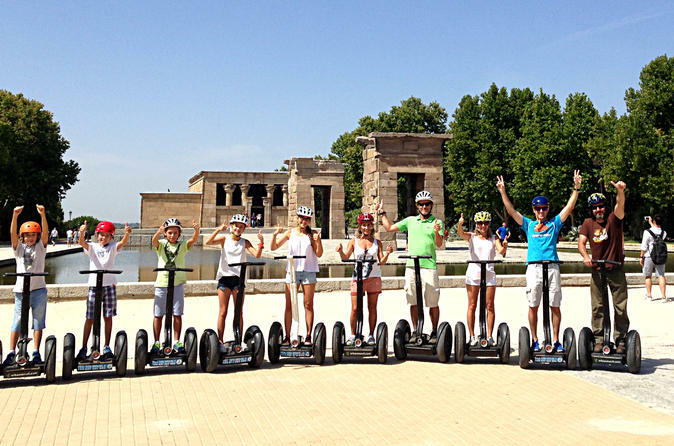 Climb aboard a futuristic self-balancing Segway and head out on a 2-hour tour that will take you through the history of Madrid, Spain’s capital since 1561. Experience an eco-friendly journey from the House of the Hapsburg to the 21st century. Explore sights including the Plaza de Puerta Cerrada, the site of a Christian wall built centuries ago. Departing from Plaza San Miguel, you’ll glide along the narrow streets to Calle Toledo and Plaza del Conde de Barajas, where you’ll find a number of artisan shops. Discover one of the city’s gastronomic centers at the ornate San Miguel Market. Navigate the cobblestones of Plaza Mayor, the heart of the 17th-century city center, and marvel at Casa y Torre de los Lujanes, the oldest building in the city. The final stop of the tour is a visit to Madrid’s Egyptian temple, the Templo de Debod.